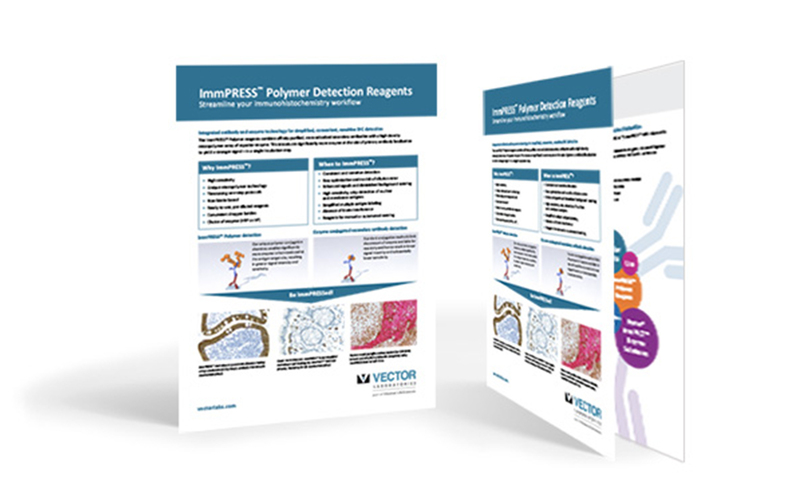 ImmPRESS™ Polymer Detection Kits require little optimization and facilitate quick, efficient detection in cell- and tissue-based applications. Species-specific, enzyme conjugated secondary antibody polymers. Anti-mouse and anti-rabbit IgG HRP conjugated secondary antibody polymers with additional amplifying reagent. Anti-mouse and anti-rabbit IgG HRP and AP conjugated secondary polymer cocktail.